You might be surprised to hear that moving to London was a huge cultural shock for me, despite the same language, similar way of life and so on, mainly in the food department. N’s family is a veritable cultural mish mash… his mum’s family is Spanish and his dad’s is Iranian. All of a sudden I was hearing things about curries, cous cous, tapas, paella, hummus and other funny sounding foods I still can’t pronounce let alone spell. Sadly, there’s one thing Kentucky didn’t have much of when I was growing up and that’s culturally rich food. If it wasn’t Chinese, Mexican or (maybe) sushi, we just didn’t have it. It’s a bit different now, thankfully! I can at least get the ingredients for a curry now, if nothing else (where would I be without my chicken tikka masala??). I’ve tried so many different foods here in London—things that I wouldn’t have even sniffed at a few years ago. WHY in the HELL have I not been eating Lebanese my whole life?! Specifically, why haven’t I been eating food from Meza my whole life? 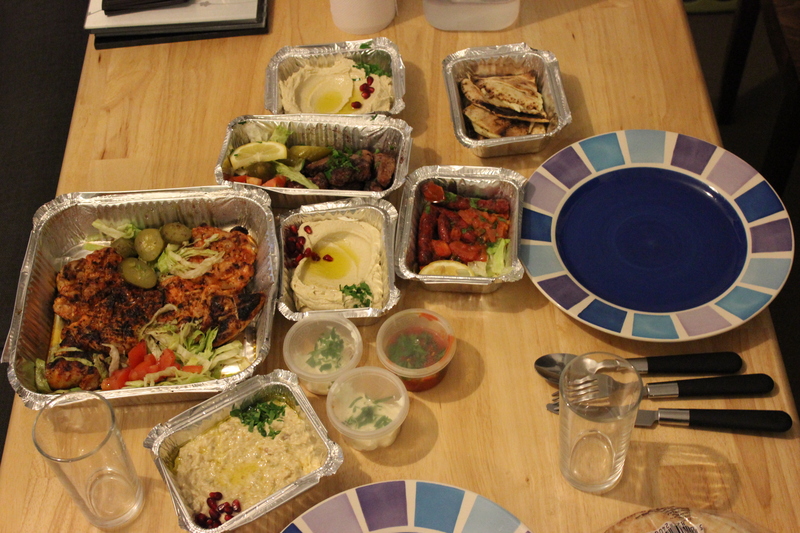 Meza is a brilliant, teeny tiny Lebanese restaurant that opened up nearly two years ago right by the flat. And by ‘right by the flat’ I mean I can smell them cooking their chicken and lamb, it’s that close. N and I passed by it every single day and every day it was packed out for lunch and dinner. And every time we passed it, N said exactly the same thing: “Hey, that place looks good. We should try it sometime.” It became a running joke until finally one day after about a year we decided we’d give it a go. We had to pre-book our table about two weeks in advance. Meza is eensy weensy and can only serve around 15 people at a time so booking ahead is a must. But oh my god… it was beyond worth the wait. It was like heaven in my mouth. Succulent, tangy, juicy heaven. 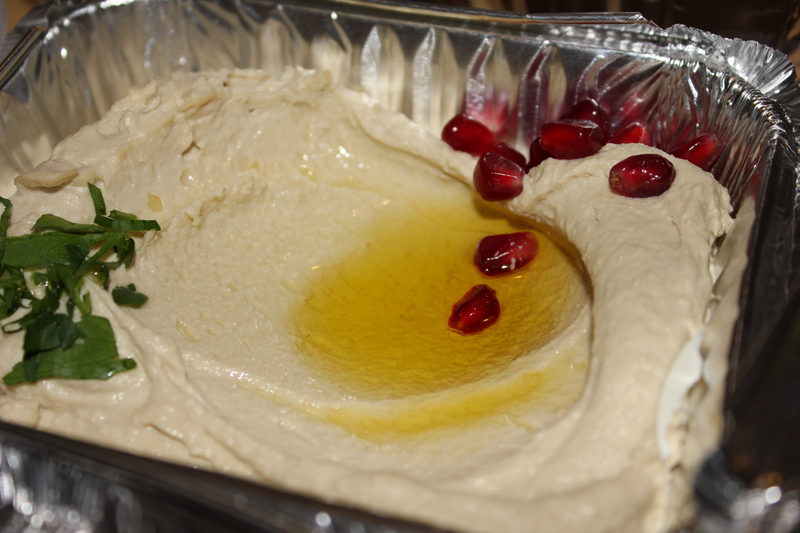 I’ve never liked hummus until I had Meza’s. Theirs is beyond amazing and seriously turned me on to the dish. We’ve been several times now and they’ve started doing their menu takeaway too which we’ve capitalised on quite a bit (see pics below) by stuffing our faces in our pyjamas. More give in the waistline for more food, dontchaknow! And now, for food pervs everywhere… loads of pictures of yummy dishes! Look at that spread… heading straight to our tummies! They haven’t got a website which means the menu isn’t online but Urban Spoon have uploaded a photo of the menu to their site. Menu photo courtesy of Urban Spoon. 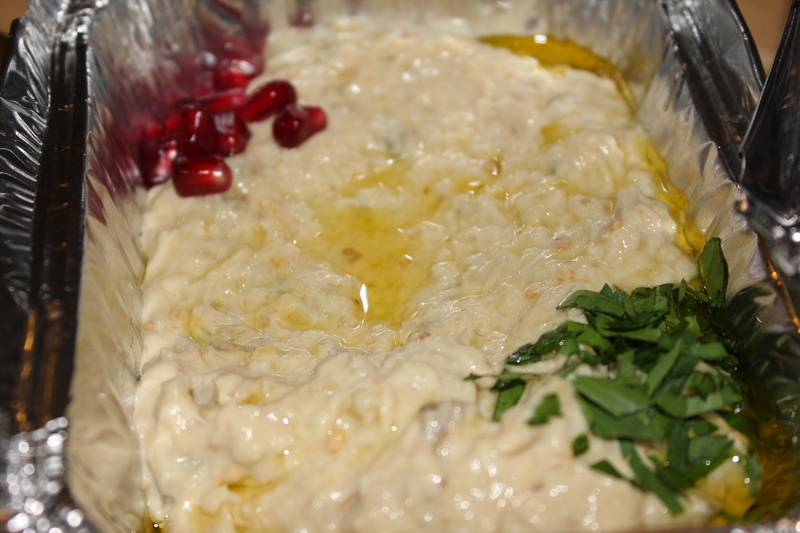 For the record, I highly recommend the Moutabal. It’s probably one of the yummiest things I’ve ever tasted and the pomegranate seeds on top just make it that much more scrumptious. 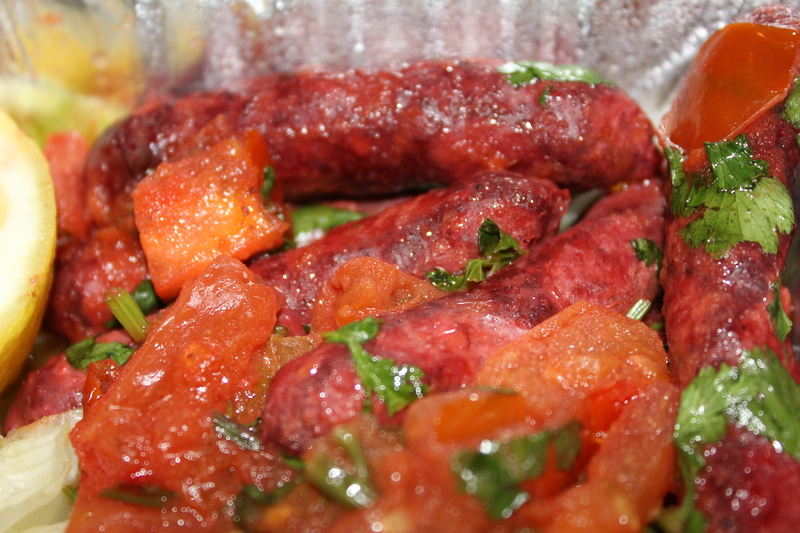 Also a favourite is the Soujouk, spicy little lamb sausages. Second best thing about Meza (after the food, of course) is just how cheap it is. You can’t go wrong there. We always pig out (whether dining in or taking away) and the bill is rarely over £30. The service is brilliant and friendly, which is always a plus. The owner actually ran into N out and about last week and remembered him and said hello, which is nice of course. I don’t really have any complaints about Meza or their food. Other reviews have lamented the small size of the restaurant but actually I think the intimacy lends itself to the food and makes dining at Meza a very special and warm experience. If it were any bigger I don’t think it would be the same at all. The last thing Tooting needs is another cafeteria-style eatery where people are packed in and moved along in droves. I give Meza a very firm 5 out of 5 stars… it’s a brilliant place to go on a date, meet up with friends or family or just to pick up a quick and cheap takeaway on a Saturday night. You absolutely must try it!